Keep your skin youthful, hydrated and protected from daily stressors with Organix South's Neem Cream. Made from organic neem, aloe and sunflower, Neem Cream combines the oils and extractions from these herbal sources into a facial cream that helps fight wrinkles and softens the skin. Besides being rich in antioxidants to fight the aging of skin, Neem Cream is also full of essential fatty acids that keep the skin elastic and youthful. Simply apply the lotion to your face, neck, arms, or any affected area to reap the benefits of this organic, herbal blend. 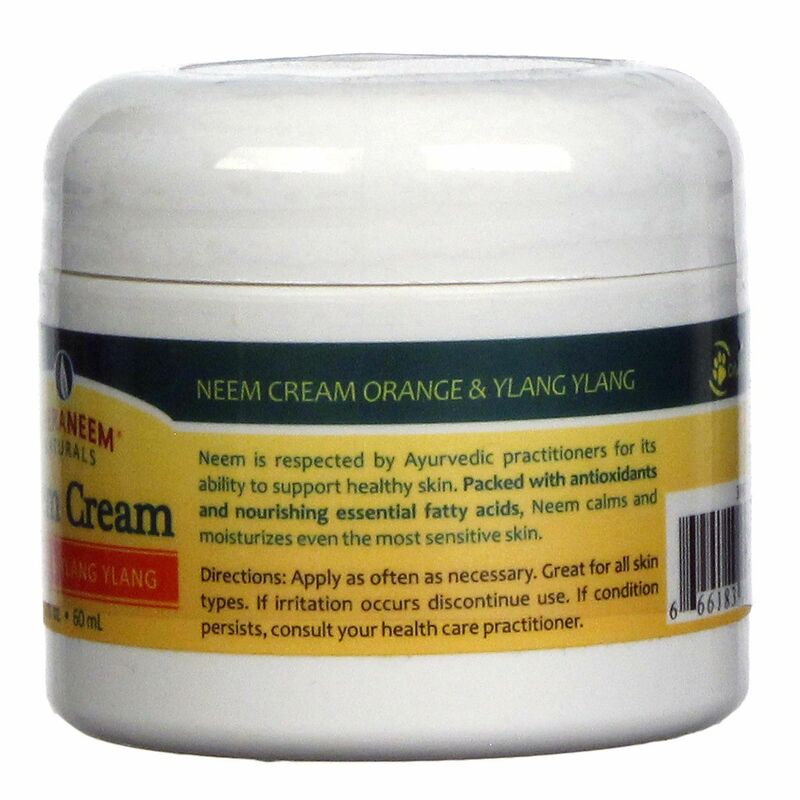 Place your order today for Neem Cream by Organix South at eVitamins and save! 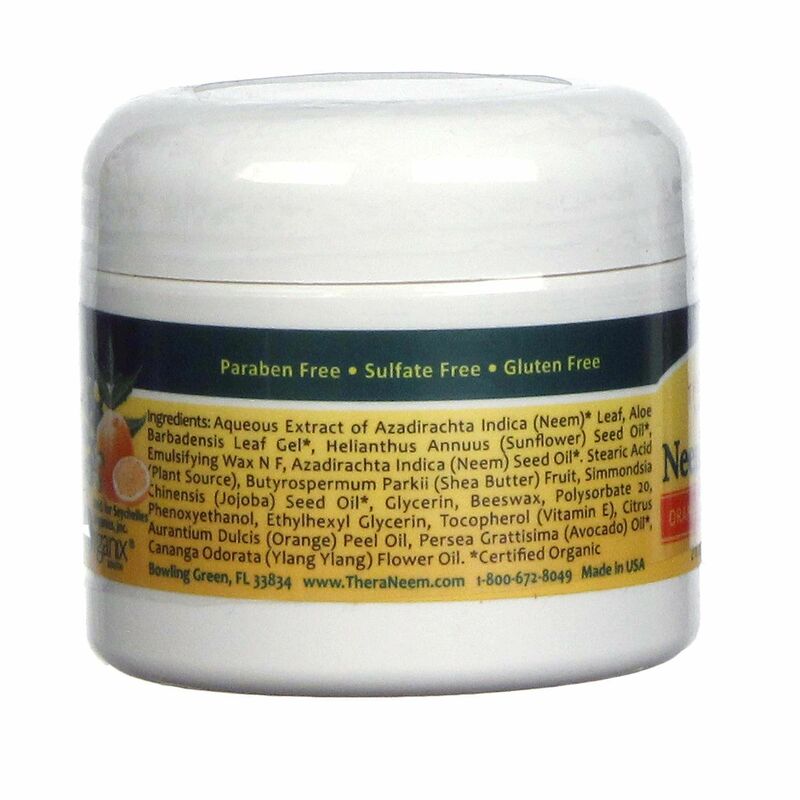 Ingredients:Aqueous Extract of Azadirachta Indica (Neem) Leaf, Aloe Barbadensis Leaf Gel, Helianthus Annuus (Sunflower) Seed Oil, Emulsifying Wax N F, Azadirachta Indica (Neem) Seed Oil, Stearic Acid (Plant Source), Butyrospermum Parkii (Shea Butter) Fruit, Simmondsia Chinensis (Jojoba) Seed Oil, Glycerin, Beeswax, Polysorbate 20, Phenoxyethanol, Ethylhexyl Glycerin, Tocopherol (Vitamin E), Citrus Aurantium Dulcis (Orange) Peel Oil, Persea Grattisima (Avocado) Oil, Cananga Odorata (Ylang Ylang) Flower Oil. Directions: Apply as often as necessary. Great for all skin types. If irritation occurs discontinue use. If condition persists, consult your health care practitioner. 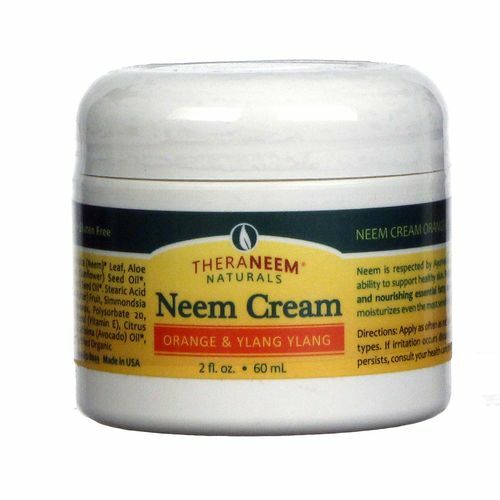 The customer reviews posted below are based on individual consumer experiences and may NOT necessarily represent what expected results will be from using or taking Organix South Neem Cream Orange and Ylang Ylang - 2 oz. These results may not be typical and you should not necessarily expect to receive the same results. Actual results may vary. This cream worked wonders after about two weeks. I applied it every morning and evening to dry areas on my acne-proned skin. I also used the neem oil, which did not work as well, but this cream is great.